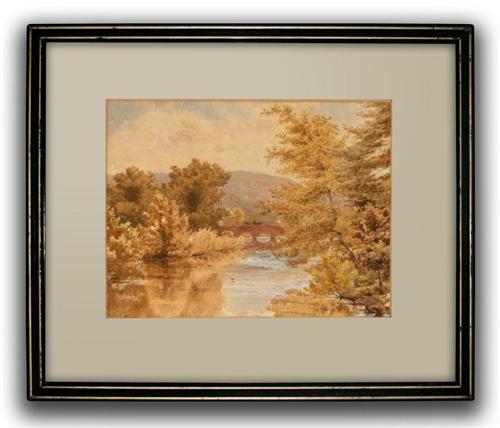 This early 20th century watercolour, rendered in soft autumnal tones, catches a waterfowl in the act of taking to the air and draws our eyes towards the hay wain crossing the bridge in the far distrance. I have replaced the window mount but appart from that it is 100% original. I have estimated the age at a conservative 1910 but judging from the age darkening of the pine backing panels and overall condition it's probably a great deal earlier.